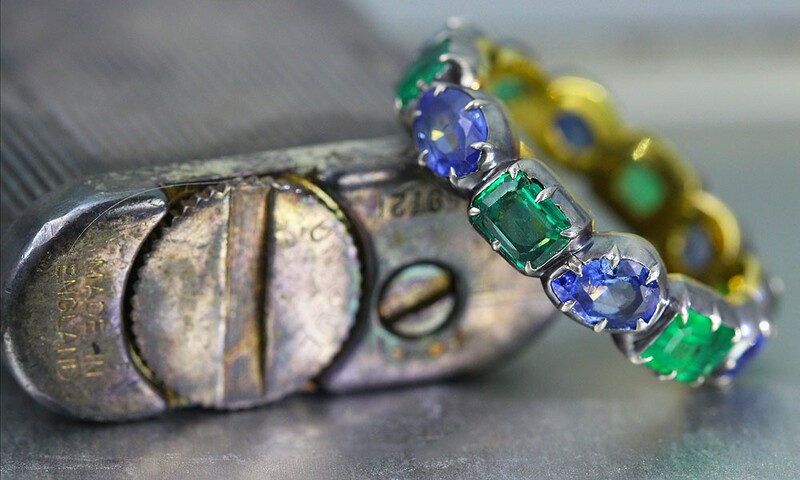 A full circle antique style collet set gemstone ring created and set with various and alternate shapes of genuine vintage/old cut Emeralds and Sapphires. Antique set in our uniquely designed *oxidized silver topped 22kt gold ring band. Another classic with our added twist. 6 old cut Sapphires, 2.156 carat total. 6 old cut Emeralds, 1.906 carat total. 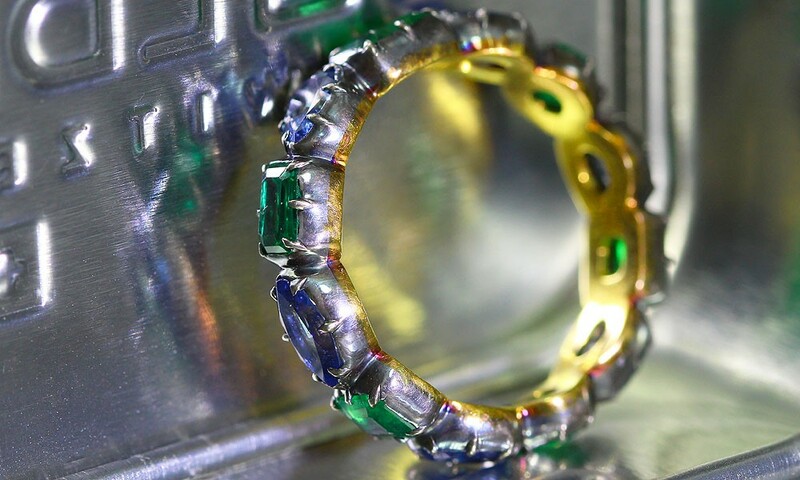 Total weight for gemstones: 4.06 carats. Oxidized silver, 22kt gold, 4.08 grams. Oxidizing silver is a process where we treat sterling silver to a liquid called liver of sulfur. The silver’s reaction transforms the outer layer into a dark patinated appearance which simply accelerates the natural silver tarnishing process. A controlled process application will allow a range of subtle spectral-color glares to be noticeable such as blues, reds, greens and more.